Sensitive questioning of child abuse victims - better information. Less direct approach to interviewing child abuse victims increases disclosures, prosecutions, guilty pleas and convictions – providing better child protection. Today’s increased commitment to uncovering the truth about child abuse is vital. Yet asking children detailed questions about abuse can be counterproductive. If children are questioned too directly, particularly about traumatic events, they may clam up. So the truth may never be known: children miss out on therapeutic help, and prosecutions fail for lack of evidence. According to a recent study, this less direct, more sensitive approach produces striking results. There are more disclosures of child abuse and more prosecutions, leading to more guilty pleas. If cases go to trial, guilty verdicts are more likely. Greater certainty about whether abuse has taken place also helps the authorities make a child safe. Action typically relies upon a child’s disclosing what has happened. Without that disclosure, therapy is unlikely. Furthermore, conducting a good interview can increase confidence that something did not happen, allowing help to focus on genuine victims. In the past, investigators typically adopted the more direct approach. They took a view that the child was frightened and should be shown that the adults knew what had happened. All the child had to do was to confirm what the adults already believed. But this approach can be risky. Words may be put into children’s mouths and they may provide information whose accuracy is difficult to judge. Also, if a child fails to confirm what is believed to have happened, interviewers can become irritated that the child seems unwilling to cooperate. 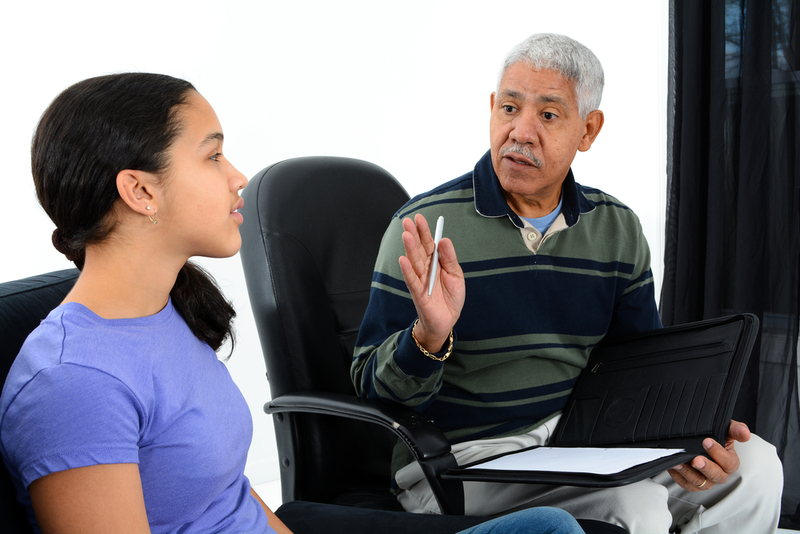 Interviewers may become coercive, putting pressure on the child, when what the child really needs is support and reasons to trust the interviewer. My colleagues and I have shown repeatedly that more supportive and open-ended interviews do not require more time or resources. Achieving greater success simply demands a better understanding of children and knowledge of what works best. These insights have been widely commended among those working with abused children. Many criminal justice systems would say that they have already adopted a more sympathetic, open-ended style of interviewing. The UK Government has, for example, published a 250-page guide, ‘Achieving Best Evidence’, which provides high-level justification for this approach. Nevertheless, there seems to be gap in many jurisdictions worldwide between aspiration and practice. In the mid-1990s, while I was a senior research scientist at the National Institute of Child Health and Human Development in Washington, DC, we developed what has become known as the NICHD Protocol. It’s a straightforward, 18-page practice-based guide, now translated into many languages, that offers concrete advice on what to do, plus specific examples of how to interview children in ways that can free them up to reveal abuse. It details how, for example, to let a child talk about the abuse, without raising the subject explicitly, and suggests ways to ask open-ended questions. It highlights signs of anxiety or distress in children and shows the interviewer how to relate to and empathise with those signs rather than ignore them. We have measured the outcomes of investigations where interviewers adopted the Protocol and compared the results with pre-Protocol practice, often involving the very same people as interviewers. There is a striking association among use of the NICHD Protocol, more cooperative and informative interviewees, and better disclosure and conviction rates. Our findings offer considerable prospects for improved evidence-gathering from victims in child abuse cases. The same approach can also yield better information from suspects. The criminal justice system is understandably expected to be inquisitive and punitive. However, our research suggests that less inquisitorial and punitive styles of questioning can lead to more successful identification of the guilty and better support for victims, particularly in cases of child abuse. Police and social service agencies should require interviewers to critically evaluate their interviews. Police and social service interviewers should regularly review their interviews with peers, carefully identifying examples of poor, good, and better practice.